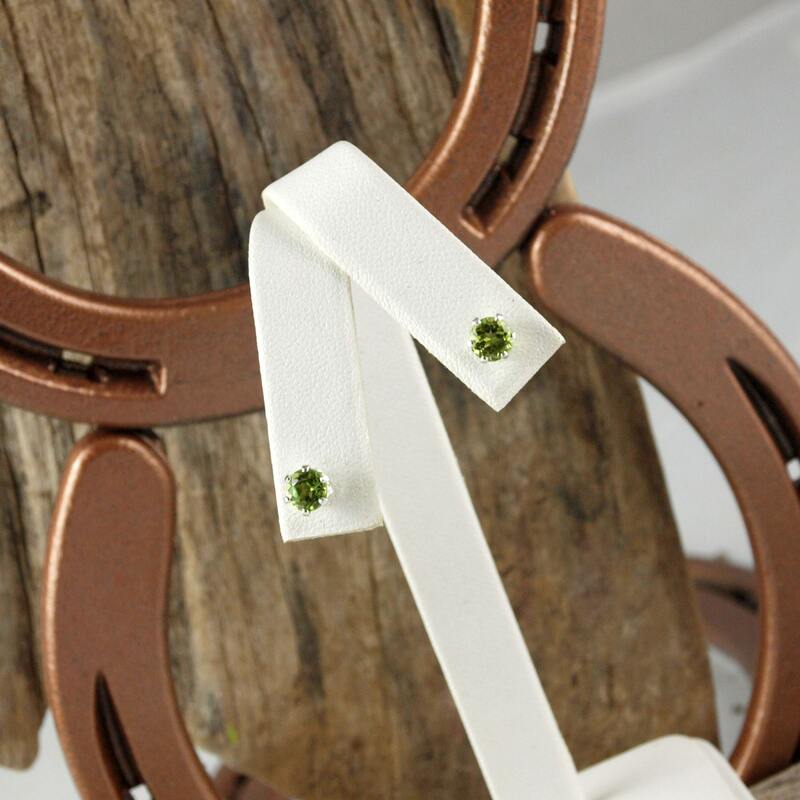 Silver Earrings -Green Peridot -Peridot Earrings -Stud Earrings - Green Gemstone -Gemstone Earrings: These elegant and gorgeous sterling silver stud earrings feature two natural green Peridot stones. 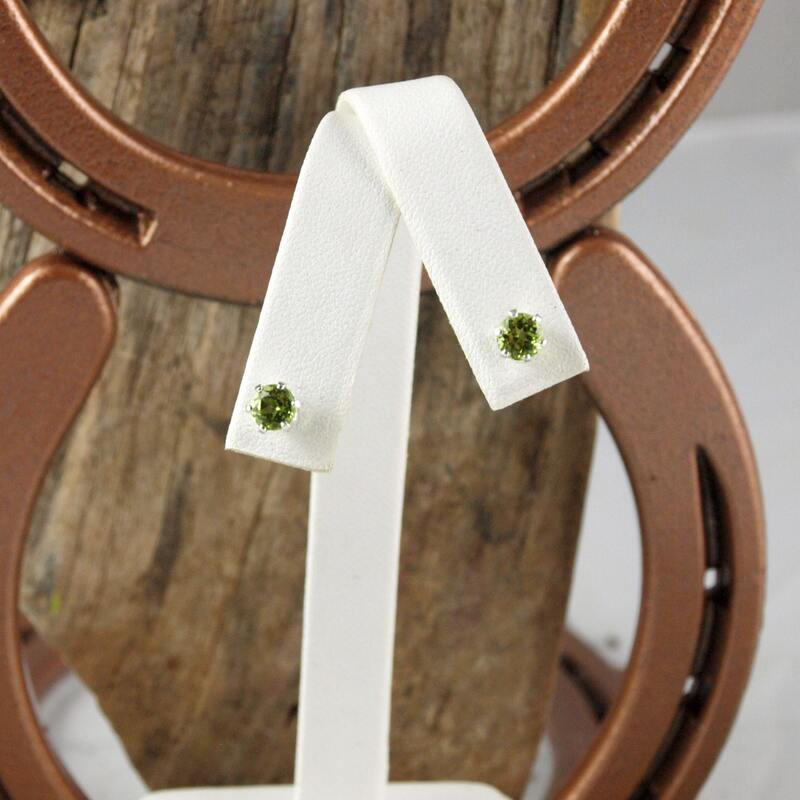 The Peridots are each 5mm(3/16") in diameter and have a total weight of 1.15 ct. The gemstones are each held by six prongs, for extra strength. 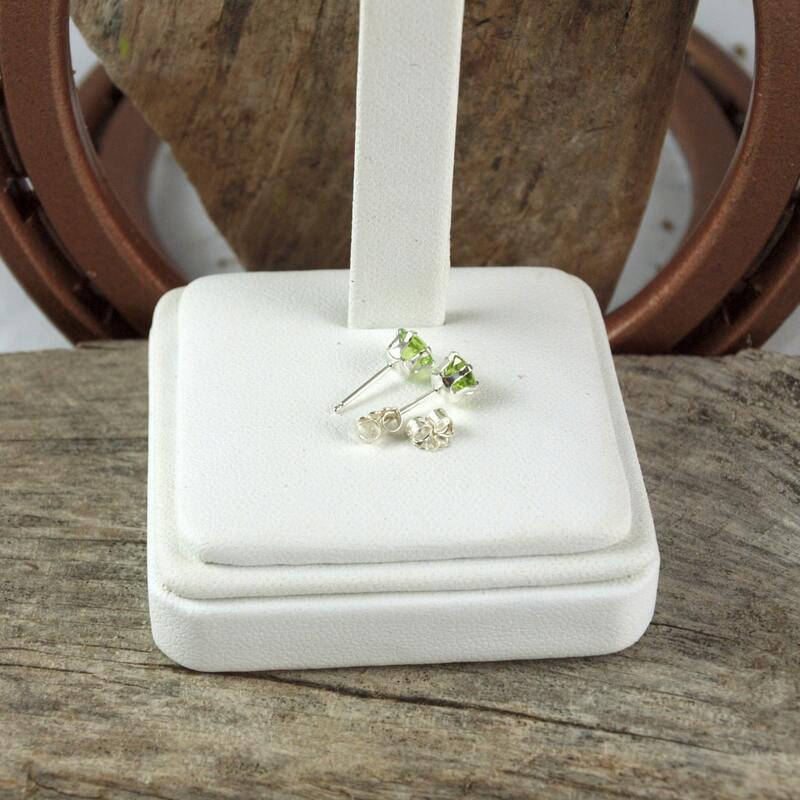 The striking green Peridot stones really pop in the sterling silver settings! These are a quality pair of earrings at an affordable price. These versatile earrings can be worn for everyday wear or formal occasions. 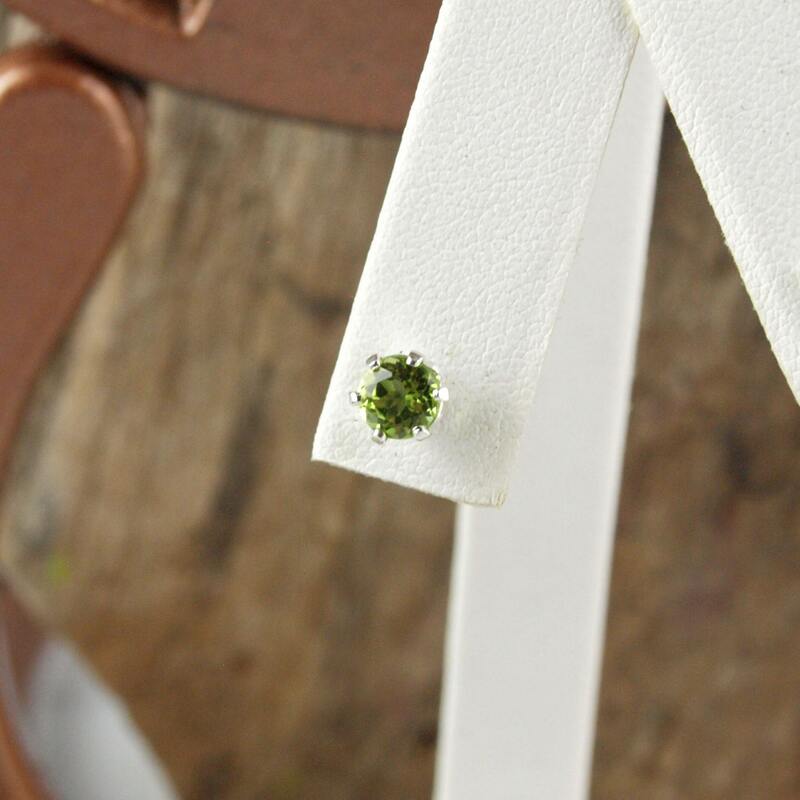 The Peridot stones have that brilliant green color that makes the August birthstone so popular! These are a splendid pair of earrings that will make an excellent present, especially when paired with one of our pendants! As with all our earrings, we will ship these earrings in an elegant gift box for no extra charge!